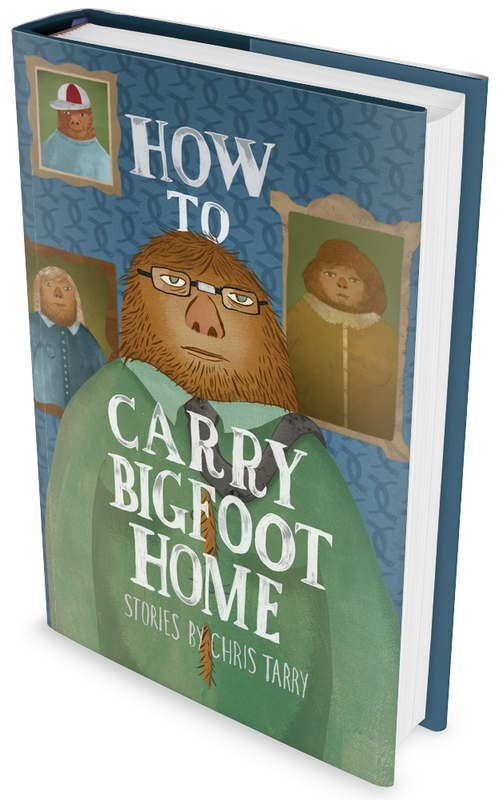 The stories in How To Carry Bigfoot Home, Chris Tarry’s debut collection, examine the frailty of the human experience. From an out-of-work dragon-slaying father to a family arguing aboard a rocketship that’s about to be launched into space, Tarry uses distinctive settings and his unique humor to explore universal truths. Everyone has their own personal monsters, problems carried home and laid bare to the people we love most. There is the public self and the private heart, the way we are and the way we wish to be. How To Carry Bigfoot Home is an examination of that journey, the search to reconcile the inner with the outer. It aims to explore the cracks in our human armor, the difficult process of enacting real change in our lives, and the sometimes insurmountable forces that make who we are (and who we become) feel almost predetermined. Almost. Chris Tarry is a Canadian writer and musician living in Brooklyn. Tarry holds an MFA in creative writing from the University of British Columbia and his story “Here Be Dragons,” was nominated for a Pushcart Prize. His fiction has appeared or is forthcoming in The Literary Review, On Spec, The G.W. Review, PANK, Bull, and Monkeybicycle. His nonfiction has appeared in the anthology How To Expect What You’re Not Expecting and Outside In, and he was a finalist in Freefall Magazine’s 2011 annual prose and poetry competition. Chris is also a four-time Juno Award winner (Canada's Grammy) and one of New York's most sought-after bass players. Published by Red Hen Press in 2015.